Secretlab TITAN NAPA Review - Worth the Price ? Secretlab TITAN NAPA 2019 Gaming Chair Review – Worth the Price? ​You need a chair that offers you comfort, style, and solid support. This Secretlab TITAN NAPA chair is a perfect blend of all three. When a chair is designed to be not only comfortable to sit in, but also help your body sit in the perfect position, you can reduce body fatigue and be able to sit for longer without incurring any health issues. Secretlab styled their chairs based on racing car seats, another market for people who spend a lot of time in a sitting position. This chair offers more than just solid back support, it has flaps on the side that support your sides without sacrificing comfortability. Just sink back and let the Secret Lab Titan give you a hug from behind with its soft leather. It’s also built on a secure steel frame and supported by rubber-coated rolling wheels that can handle the hardwood or the meanest carpet. Carrying over from the TITAN, the Secretlab TITAN NAPA also offers adjustable lumbar support. The lumbar is the lower back and a prominent area for back pain. Rather than it being a fluffy pillow base like other chairs, there is a side dial that allows you the great movement of the lumbar system. You find a fit that’s perfect for your body. The larger armrests also have a slight dip to make elbows at rest also more comfortable. The best part about this feature is that these are also adjustable. They have a 4D adjustment axis, up-down, forward-backward, left to right and angle left and angle right. Where else can you find this level of adjustment to fit the person the chair will be used for? The only potential downside is the caster wheels. Though they glide across solid floors well and are very quiet, they are not great on thick carpet. If you don't have a thick carpet, then that is not an issue. If you do then you may want to find a mat that can be placed under your chair. That will keep the rug from getting ruined, anyway. ​The Secretlab TITAN NAPA is a strong and secure chair. With the constant turning and shifting, you could do in a chair, you need something more than a bucket with a backrest and wheels. The wide base gives the chair the ideal center of gravity, so even if you are shifting or leaning to grab something, you won't tip over and fall out of the chair. You can easily adjust the TITAN NAPA gaming chair to find the most ideal position (or just goof around) while waiting on the loading screen, chatting it up with your viewers (if you’re a streamer) or sitting waiting for your death timer to go away. Don‘t forget about the pillow on the headrest just in case you feel like taking a mid-session nap! 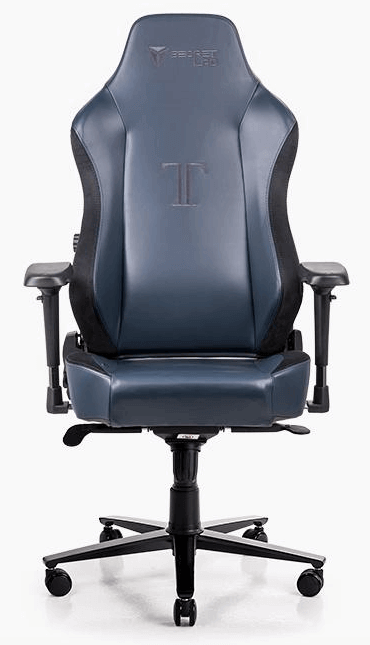 No gaming chair is perfect without a reclining back and the Secret Lab Titan does not disappoint. It can recline back to near-bed position and allows for a relaxing spot to watch films, vines or your favorite meme videos on YouTube. The tilt is between 85 and 165 degrees and when put together with the wide wheelbase, you feel secure no matter where you are. Not only is this Secretlab TITAN NAPA gaming chair a great chair, but it’s made by a great company. The Secretlab team offers fantastic customer support and coupled with a great two year (sans wear and tear) warranty makes this easily one of the best chairs in the market. Secretlab has an excellent response time and goes above and beyond to answer all customer inquiries and resolve issues. It comes in a professional box with easy to assemble instructions. ​Some may balk at the price tag but this glorious blend of luxury, sophistication, tech, and art is more than worth. The cold-cured foam is support seconded by none and the special cut calf NAPA leather sets up for a smooth finish. The TITAN NAPA chair's leather is found in high-end cars and designer bags because of how soft and smooth the texture is. The standard leather found on the TITAN is a great feature, but the TITAN NAPA is on a whole new level with a microfiber lining on the sides to boot! The foam shapes to your body much like a good mattress and provide support where you need it most. It is the cold-cured foam that is much more durable than a simple compressed foam. It responds quickly by feeling soft as soon as you sit on it and goes right back to its original shape when you stand up. It will stay as comfortable years after you bought it as if it is brand new. You may be wondering now - What exactly is NAPA leather and what makes the TITAN NAPA gaming chair worth the price tag? NAPA leather is an exclusive cut of calf leather. It’s a definite upgrade from the PU leather used in the TITAN. While the TITAN is a great model, the finishing touch of the NAPA leather brings the TITAN NAPA from good to GREAT. The smooth feel of the leather will make you think you just graced your backside in the chair of a Lexus. Of course, if you are not one for superior quality, comfort, and support, you can opt for just the TITAN. The TITAN is the stock version and almost just as good, but Secretlab TITAN NAPA chair is the luxury edition and worth every penny. The NAPA line does have a limited availability, however, because Secretlab wants to assure it only passes along the finest in quality to their customers. They have strict criteria when it comes to material selection and you won’t find yourself disappointed because they have cut no corners on its quality. 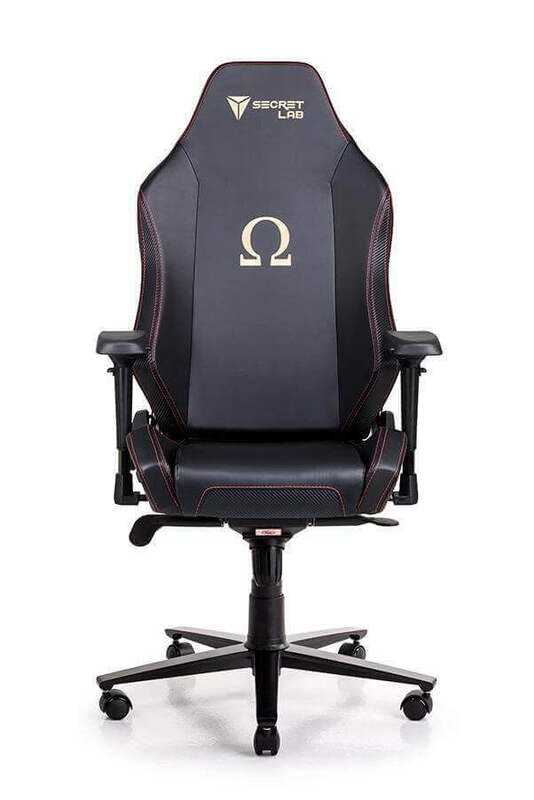 This chair speaks quality and in the gaming world, quality is king. Worth checking the Secretlab Omega Chair review here and Secretlab Titan Chair review here.